For more information, or to set up a Kar-Ben book fair, e-mail publicity@karben.com or call 1.800.328.4929, ext. 229. Every year, Kar-Ben Publishing is pleased to partner with many Jewish preschools, schools, libraries, JCCs and other organizations around the country to help them raise funds to support their programs while also promoting Jewish literacy for children. Holding a Kar-Ben fundraiser is fun and easy. Regardless of which option you choose, we’ll provide you with everything you need: letters, flyers, e-mail invitations, reminders and posters to help you publicize your event. We’ll also provide you with giveaways including bookmarks and book posters. If you wish, we can even help arrange an author visit with one of our Kar-Ben authors or help you organize other special events to go along with your book fair. Interested in inviting an author to your book fair? Get more information and search our interactive map. 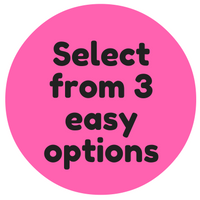 We offer three different fundraising options. Pick the one that’s right for you! Your organization orders books from Kar-Ben on a discounted, returnable basis and you hold an actual book fair at your school or JCC. Sell the books at retail price, have the checks made out to your organization, and return any unsold books to us. We can advise you on which titles and how many of each to order. You keep 25% of all book sale proceeds. We furnish you with enough Kar-Ben catalogues to send home with your students. Parents order books at the list price in the catalogue, make out their checks for books and shipping to your organization (not to Kar-Ben), and send the order forms and checks back to school with their children by a predetermined date. We ship the books to your school and you distribute. We bill you for books ordered less discount. You keep 25% of all book sale proceeds. We furnish your school with a special code for ordering books through our website at www.karben.com. Anyone in your organization who purchases Kar-Ben books with this code contributes a percentage of the sale to your organization, which you can redeem by ordering books for your library. Find free materials for marketing your Jewish Book Fair here, from customizable flyers to social media placards and more!